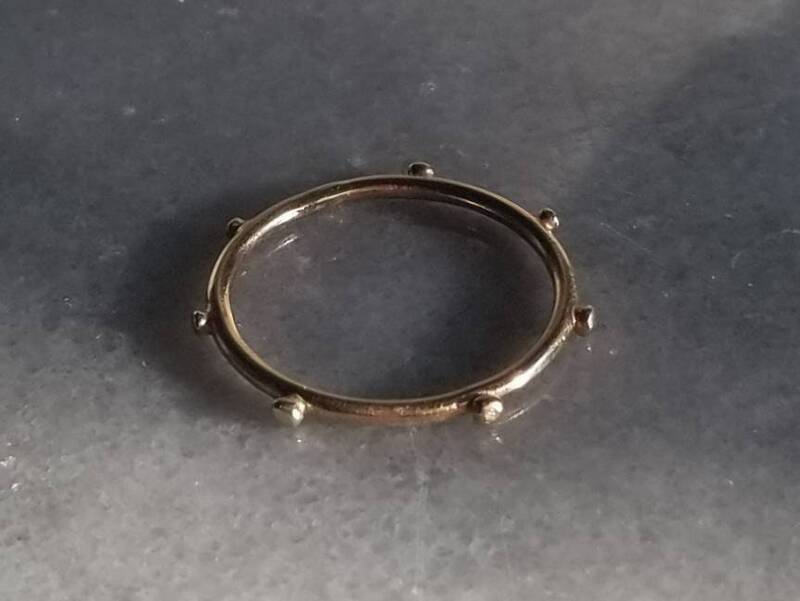 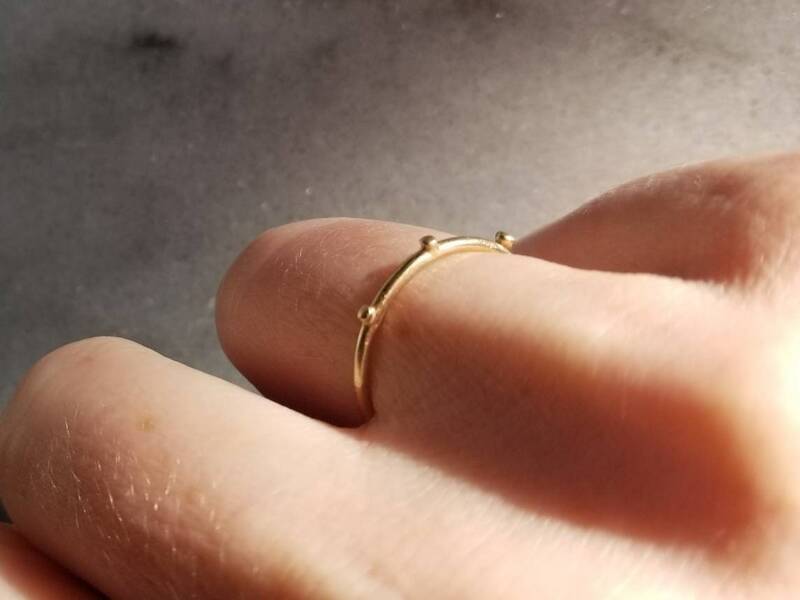 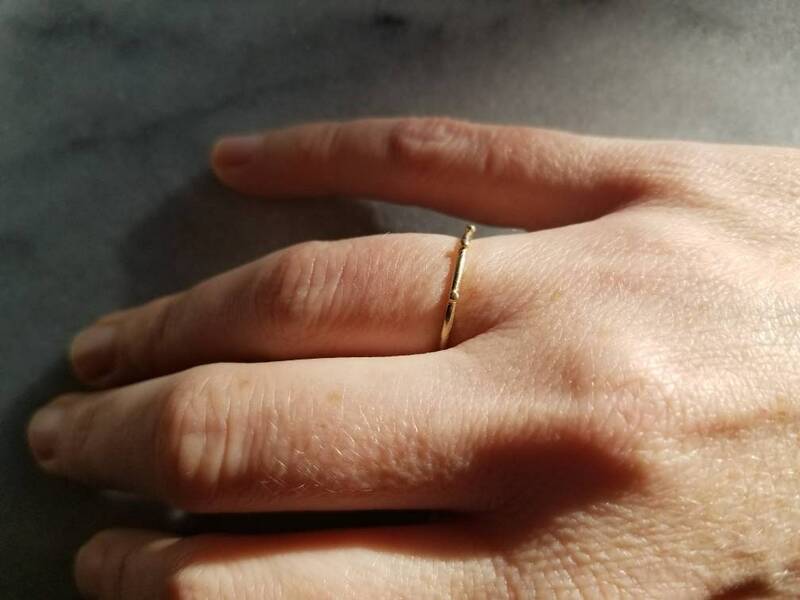 This hand forged solid 14k gold band is 1.3mm wide. 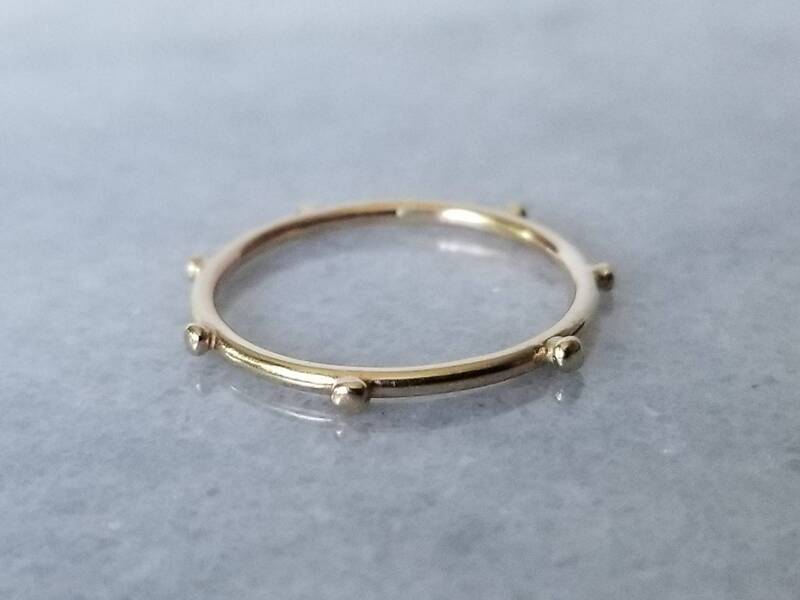 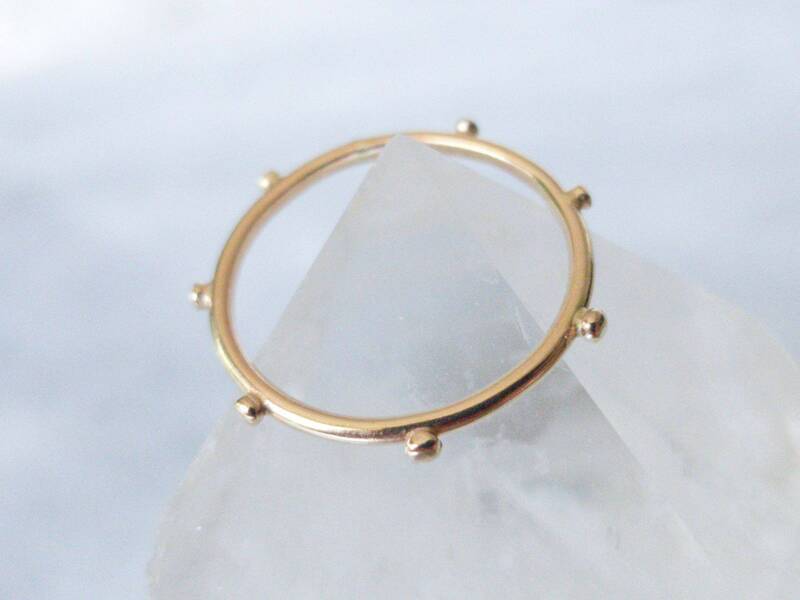 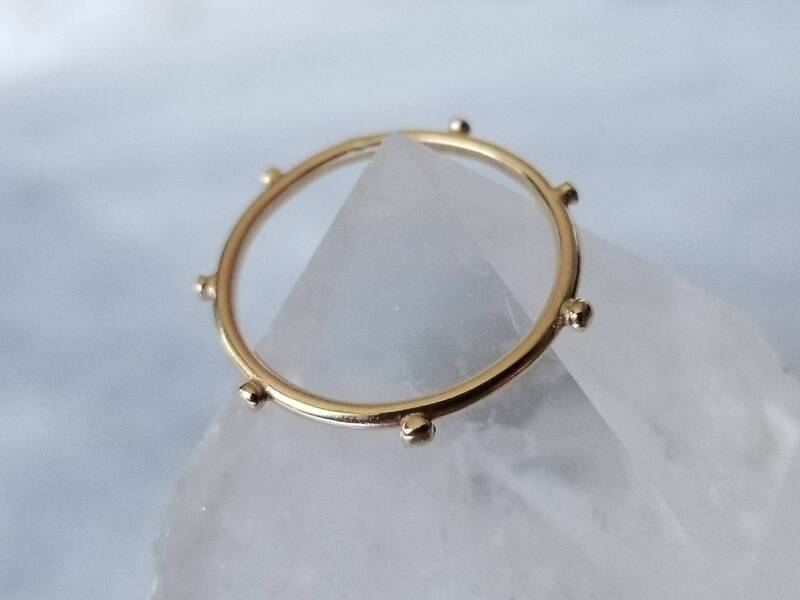 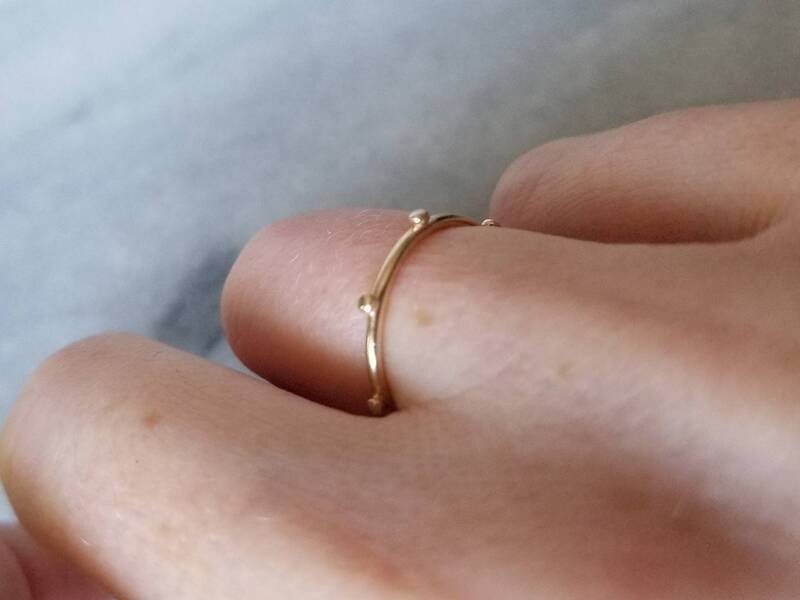 This ring looks lovely worn alone or as an elegant addition to your favorite stack. 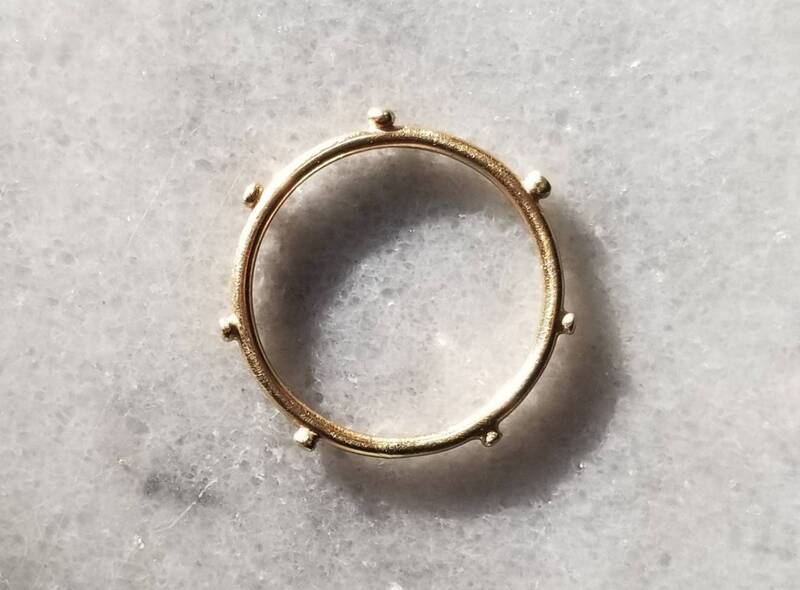 Please note, size 6.75 is ready to ship, other sizes will be made to order.